The department was created at the French Revolution on March 4, 1790, in application of the law of December 22, 1789, from a part of the former province of Gascony. In 1808, it was separated from the canton of Lavit, located in the North-East, to create the department of Tarn-et-Garonne. The Gers and the countryside which occupied its territory before the Revolution. 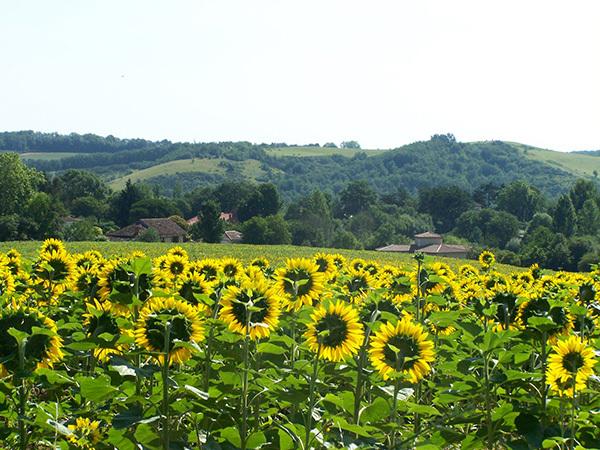 These were all part of the province of Gascony. 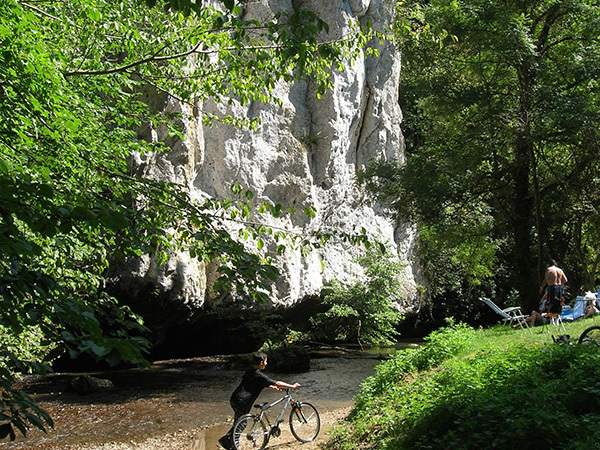 The Gers is part of the Occitania region. It is bordering the departments of Hautes-Pyrénées, Haute-Garonne, Tarn-et-Garonne, Lot-et-Garonne, Landes and Pyrénées-Atlantiques. The Gers is known for its undulating landscapes. The shifting hills are interspersed with valleys where artificial lakes dedicated to agriculture are often hidden. Annual precipitation ranges from more than 900 mm in the southwest of the department, to less than 700 mm in the northeast (Auch, Condom, Lectoure). The summers are very hot and have a low rainfall, temperatures often exceeding 35°C. Winters vary, often with negative temperatures and nocturnal frosts, but the climate remains relatively mild. The economy in the Gers mainly revolves around agriculture and culinary tourism. The department produces wheat, rapeseed, sunflower and maize, used for the feeding of fat ducks. These are transformed into delicacies, in local farms or factories (Comtesse du Barry, Ducs de Gascogne …) such as foie gras, confit or stuffed necks. 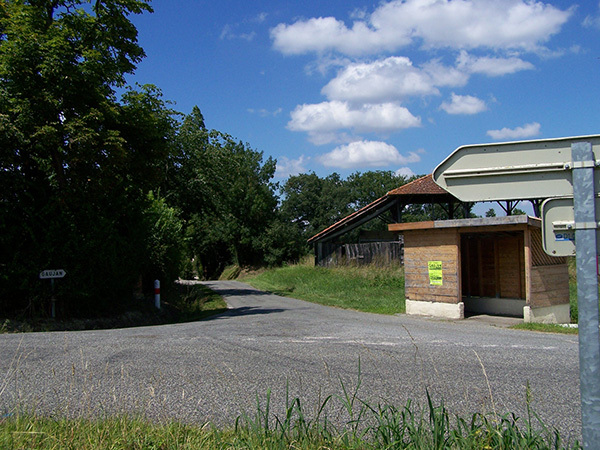 It also produces alcohol and wine (armagnac, cote-de-gascogne, floc de Gascogne, madiran, pacherenc, pousse-rapière, Côtes de Saint-Mont, AOC Tursan). Small village of 111 inhabitants, Gaujan is located in the valley of the Gimone, a rolling landscape with many forests, small lakes and farms that produce field crops (wheat, sunflower, maize). You will also come cross breeding cattle, sheep, ducks and geese. At the beginning of the 13th century, the castle of Castillon, on the right bank of the Gimone, is one of the four capitals of the county of Astarac. In 1291, the count decided to found on its own and therefore without paréage (a feudal treaty recognising joint sovereignty over a territory by two rulers), a bastide right next to its castle. It gave this new town the name of Castillon, but it was soon called Villefranche d’Astarac. What differentiates it then from the other bastides of the same period, is that the houses are constructed in adobe and not in stone. On the night of July 6th to July 7th, 1944, a column of the Wehrmacht (several hundred men) attacked the Maquis of Meilhan (about 90 resistance men) by surprise at dawn. After 3 hours of unequal combat, all survivors (even wounded) were tortured and murdered. The massacre was not over: the Germans rounded up four men (who were not Maquisards) in neighboring farms and executed them. 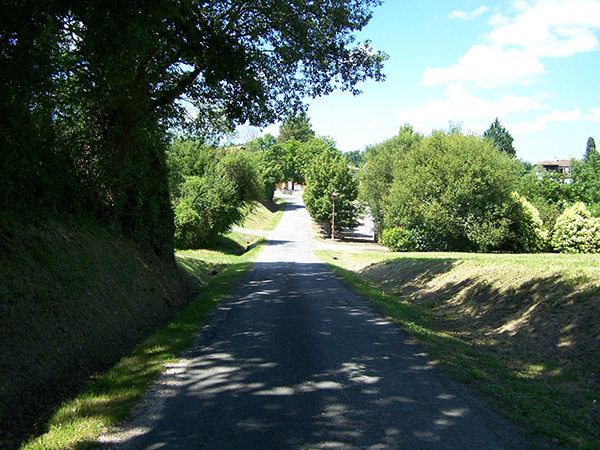 On the way back to Lannemezan, the SS captured and executed 3 other men. Only 16 Meilhan maquisards managed to escape, 76 were assassinated. One of the oldest survivors of the Gers. Formerly built on the southwest side of a hill, the town was destroyed by a fire and rebuilt in 1141 near the Gimone on land given by the Benedictines of Simorre. Father abbot, who was the lord, granted them customs in 1268. The abbey, attested as early as 817, was built in the sixth century on the site of an ancient oratory erected on the eve by Saint Cerats whose tomb is in the chapel of Saintes. The abbey was ravaged by the Saracens and the Normans. Fortified in the twelfth and fourteenth centuries to serve as a refuge, reworked in the nineteenth, the abbey church is unique in its kind (treasure, reliquary, stalls …). Today, the village with its old central market, its half-timbered and corbelled houses, Its shady places that is inviting to visitors, Simorre surprises and amazes. In Simorre, a village near the pottery centre of Sémézies-Cachan, on Easter Monday, the heyro dous chioulets (whistle show) took place. During this day under the patronage of Saint Cerats, the patron saint of Simorre, the crowd gathered around the oratory of the abbey of Saintes where traditionally lay the tomb of the saint. The whistles were bought from the potters who came to sell their produce, but they could also hire servants. Between Toulouse and Pyrenees, L’Isle-en-Dodon, a fortified town of the eleventh century, recalls the bastides of the Toulouse region. It was built by the Counts of Comminges ; One of the first of them, Bernard Dodon, gave it his name. In the centre of the town, the square is surrounded by houses typical of the Gascon country, with their awnings and their various colors, which conceal the half-timberings and protected the mud walls. For twenty years, the restoration of the centre, already well undertaken, is a communal priority. Medieval alleys and plazas still characterize the heart of the town, which once surrounded the castle. The church is a listed monument. Its fortified head with two turrets, a vestige of the church of the castle built in the twelfth century, dates from the beginning of the fourteenth century. The bell tower, a four-storey tower 33 meters high, was built a century after the chapel. One enters the interior through a Gothic portal. The Romanesque sacristy of the twelfth century was the old chapel of the castle. The stained glass windows are by Arnaud de Moles, who designed those of the cathedral of Auch. The organs of the end of the nineteenth century are protected as historical monuments. Historically, Saint-Blancard is one of the richest towns of the area. Archaeological excavations have been carried out, which show that its history is partly related to that of its castle which was immediately rebuilt after the fire of 1888. 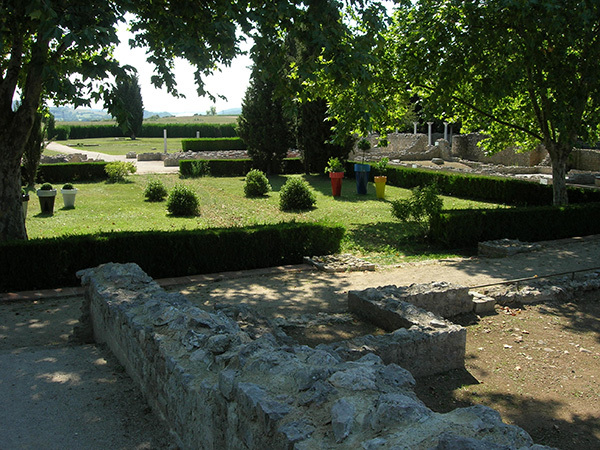 In the courtyard, while digging a trench, important archaeological remains were discovered, suggesting the existence of a small Gallo-Roman castle (following the discovery of two heads of antique marble statues). 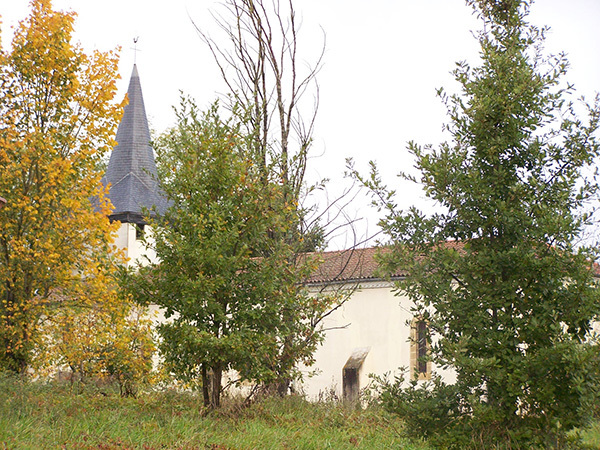 In 1889, a small Romanesque church was discovered, dating according to specialists from the 11th or 12th centuries. It is assumed that this church was destroyed in favor of the castle which was built on a feudal mound during the late Middle Ages. In the twelfth century, the stronghold of the comtale house of Comminges, Saint-Pancrace (Saint-Blancard) became the appanage* of Bertrand d’Orbessan in 1276 and in 1303 the castle was built by the inhabitants of the community. From 1535 to 1930, during four centuries, the castle underwent many modifications. 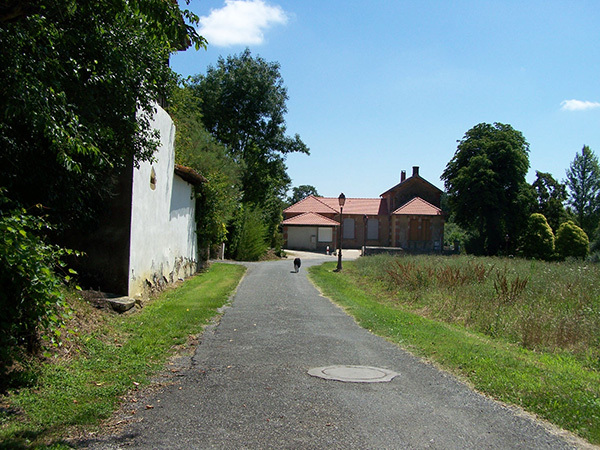 It was inhabited until the Revolution, then abandoned until 1836, when the descendants of the Gontaut-Biron re-settled there and undertook major works. During the First World War, the Marquis and the Marquise founded a hospital in the castle that could accommodate 30 beds. For 22 months, it would operate without interruption, welcoming many wounded soldiers. In 1940 the castle was requisitioned by the State to house the Egyptian collection of the Louvre Museum. *granting of an estate, title, office, or other thing of value to a younger male child of a sovereign, who would otherwise have no inheritance under the system of primogeniture. Samatan has retained little of his past. It is an old castral village, stronghold of the counts of Comminges, whose castle totally disappeared. Until the Revolution, Samatan was a châtellenie of the county of Comminges. Samatan was ravaged by the Black Prince in 1355 during the Hundred Years War and the survivors then swelled the population of Lombez, which was only 1 km away and had been spared by the Black Prince for a mysterious reason. Certainly because it was a bishopric, unlike Samatan, a trading town. In the 1980s the municipal wish of the time took the gamble of a new economic activity for Samatan: tourism. Today the renowned holiday resort “Vacanciel” and its lake has no longer to be demonstrated. The reputation of SAMATAN as a shopping centre is no longer to be established. Indeed, SAMATAN has always favoured its market, which has become over the years one of the most active places of the Southwest. Today, the SAMATAN foie gras market is the leading market in the Gers, the leading French market and the world’s leading market in this production. (Source: Association Gersoise for the Promotion of Foie Gras). 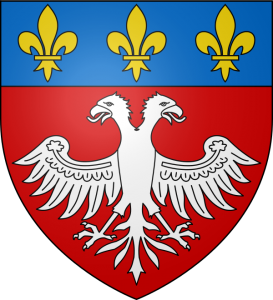 The bastide of Boulogne was founded in 1286 by the abbey of Nizors under the abbot Taillefer, in paréage (a feudal treaty recognising joint sovereignty over a territory by two rulers) with the King of France. Until the Revolution, Boulogne (Boulogne-sur-Gesse since 1958) was one of the many enclaves of the Jugerie de Rivière-Verdun with the parishes of Saint-Pé-Delbosc (Haute-Garonne) and Lalanne-Arqué , All three then being parishes of Comminges on the border of Gascony. Its shield is: Gules with a two-headed eagle in silver, and onto the head sewn with azure loaded with three golden fleurs-de-lys. 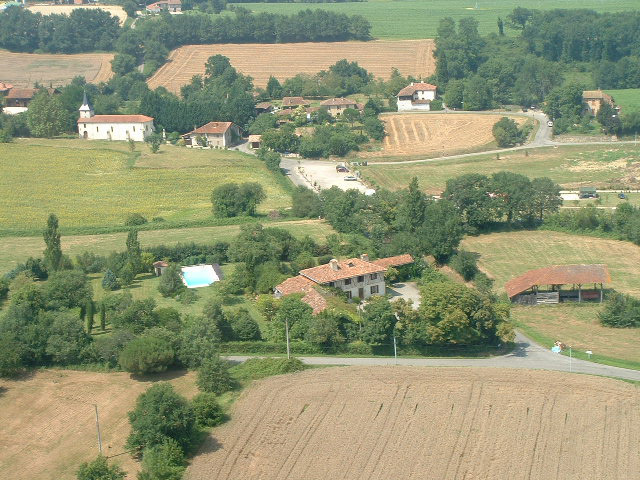 The commune’s water is supplied by the Gesse and the Gimone including a part of the lake of the Gimone. Like many other new cities founded at the same time, Bologne-sur-Gesse borrows its name from a prestigious city, Bologna in Italy, as a token of the success of its development. The abbey of Sainte Marie de Boulaur was founded in 1142 by Petronille de Chemille, abbess of Fontevraud, archbishop of Auch and Sancho I, count of Astarac. It depended on the abbey of Fontevraud. The first abbess of Boulaur was Longuebrune, widow of the Count of Astarac, who on the death of her husband decided to enter the orders. 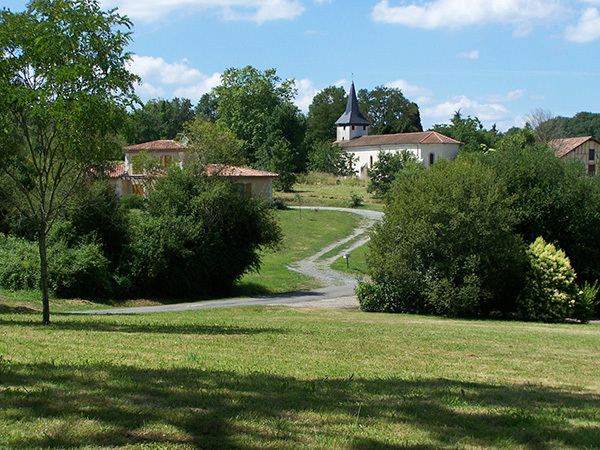 The monastery takes its name from the Latin Bonus Locus, the Bon Lieu, and gave its name to the village of Boulaur which was formerly called Saint Germier, named after a bishop of Toulouse who evangelized the region. The church, Romanesque in its base, includes three spans of Gothic vaults and two Renaissance spans. Frescoes of the 14th century cover the vaults of the choir and the next span. Inside, the cloister is from the 17th century and houses the statue of a Madonna and Child dated late 13th century – early 14th century, found under a tile and named “Belle Dame” Boulaur. The east wing dates from the end of the 13th century, with a construction of bricks and alternate stones, and was reworked in the 17th century. After the Revolution, the nuns reintegrated the monastery and restored the church. They were again hunted down during anti-clerical laws in the early twentieth century. The monastery was restored in 1949 by nuns of the Cistercian order who get their living off a small farm whose products are processed and sold on the spot. The religious services in Gregorian chant punctuate their day of prayer, work and hospitality, according to the charism of the rule of Saint Benedict. The community that keeps growing is about thirty sisters. 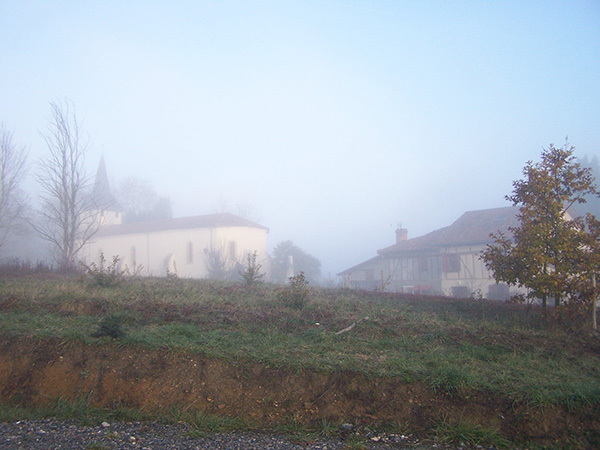 In 1998, they gave life to the abbey of Rieunette, deserted for several centuries, and which today houses a small group of nuns. The Sisters welcome pilgrims with joy but also the ordinary visitors who want to discover this place. The occupation of the site of Pavie dates back to prehistory, as shown in evidence by the materials that are found regularly around the village. Pavie was founded on May 5, 1281, at a time when the construction of the bastides was very frequent in the south-west of France. It is the twin sister of Mirande who was born the same day by the wish of the same paréagers (a feudal treaty recognising joint sovereignty over a territory by two rulers): the Seneschal de Beaumarchais, count of Astarac and the Cistercian abbot of Berdoues on whose land it was erected. Pavie presents the characteristic plan of the foundations of the seneschal: it was organized along two perpendicular axes whose principal and secondary streets determine regular square blocks. 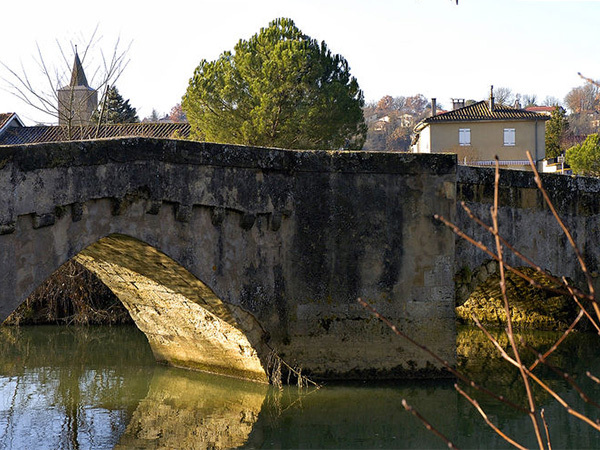 If Mirande prospered rapidly, the urbanization of Pavie suffered from the proximity of Auch. Its expansion is very recent and dates from the years 1960-1970. If Auch, the great rival, has for a long time shadowed Pavie, it henceforth favours its development. of the centenary oak forest of the domain of Besmaux in Pavie. 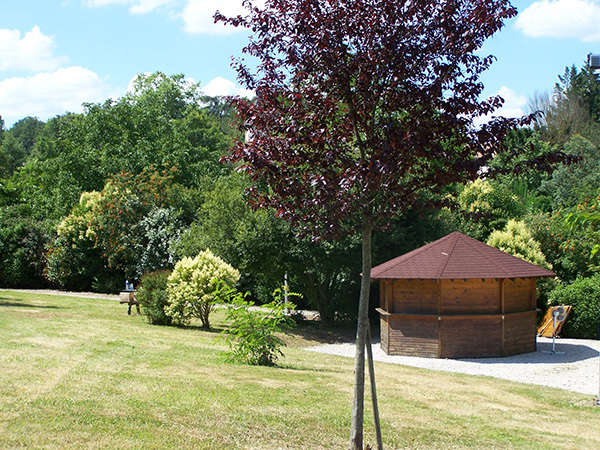 Le Vert en l’Air offers a unique leisure area in the Gers. The town of Mirande was founded at the end of the 13th century, by the wish of the Abbe de Berdoues and the Count of Astarac. It is a bastide, a new town of the Middle Ages, characterized by a checkered plan drawn from a central square. Arcades (arches) are still present today; They house many shops. Throughout the streets of Mirande, one can admire some half-timbered facades, as well as bourgeois houses with doors and windows framed by carved stone. Among the significant monuments of the city are the remnants of the ramparts, the towers of Rohan and Astarac, the Sainte-Marie church in southern Gothic style, with its atypical buttress over the rue de l’évêché. More recently, the Halle and its steel frame, the Town Hall, the Sub-Prefecture, as well as the Hôtel des Taxes and the Lycée Alain-Fournier, are examples of nineteenth-century architecture. The Museum of Fine Arts and Decorative Arts of Mirande, presents high quality art works, as well as a rich collection of ancient earthenware from the major French factories. Some have also been carried out in workshops in the South-West. Since its creation, Mirande is a host city. Like other towns in the southwest, it opened its doors to refugee families, particularly during the Second World War. Some of these families have remained, new ones are established each year, enabling the commune to enrich itself from different generations of population. In the footsteps of Victor Hugo and Alain Fournier, we invite you to discover the richness of Mirandese history and heritage. In the Roman era, the city underwent an important development and became one of the main urban centers of Aquitaine, located at the intersection of two Roman roads, Lyon des Convènes (Saint-Bertrand-de-Comminges) towards Agen and Toulouse towards Bazas . After the sacking of the main town of the province, Eauze (pronounced: eoz), Augusta Auscorum became the main urban and administrative center. At the time of the great invasions, the unfortified Roman city, was plundered then deserted by its inhabitants who then regained the site of the ancient Eliumberrum which was more easily defendable. It became the urban core and was surrounded by walls. At the time of the accession of Christianity, Auch was logically erected as a bishopric and then an archbishopric in 879. It then became (and still remains today) a religious place of primary importance. Seigniorial. The coat of arms of the city still reveals the struggle between the red lion (Armagnac coat of arms) and the lamb (symbol of the archbishops). As if to emphasize the place of religion in Auch and the scope of their powers, the archbishops (notably François de Savoie) built one of the most majestic cathedrals in the south-west of France, on the ruins of the old burnt Romanesque cathedral (fifteenth-sixteenth centuries). The Basilica of Santa Maria still dominates the city by its gigantic proportions. After the battle of Lectoure in 1473, which marked the definitive fall of the dynasty of the counts of Armagnac, the city was invested by the troops of the King of France, Louis XI. The restart was slow in the sixteenth century. Finally, in the eighteenth century, the generality of Auch is detached from that of Montauban (1715). Its stewards were primarily concerned with economic development and the improvement of living conditions and lifestyle. Especially under Louis XV, the intendant Antoine Mégret of Étigny transformed the city by giving it its present face with the construction of most of its remarkable buildings (city hall, Intendance hotel, walk …). It was the golden age of Auch. In the nineteenth century, the installation of a gas plant and the construction of the railway station favored the development of the districts of the lower town. During the Second World War, 101 Jews were rounded up and deported on 26 August 1942 and at the end of February 1943 to the “detention” camps in Gurs (Pyrénées-Atlantiques) or Vernet (Ariège) on the occasion of the official visit of Admiral Darlan. It can thus be said that the city of Auch, through the centuries, was what it is still today, that is to say the administrative metropolis of Gascony. The archbishop of Auch had the title of primate of Novempopulania as that of Lyon bore the title of primate of Gaul. The diocese of Auch inherited the title of Metropolitan in 856, after the ransacking of the city of Eauze. But the first bishop of Auch appeared around 280. The list of archbishops of Auch sees prestigious figures, many saints and many cardinals. The Archdiocese of Auch, after Strasbourg, Paris and Cambrai, had the most annual revenues, owing to a large tithe. The appointment of the archbishops of Auch saw long discussions between the king, the pope and the canons. The archbishop of Auch was, until 2002, for many centuries, a metropolitan of an immense ecclesiastical province, formerly formed of Gascony and French and Spanish Navarre. The course of the Baïse was formerly channeled to allow the export of armagnac to Bordeaux. This activity ensured, in the past, the prosperity of the city. The armagnac does not owe its fame to the port of Condom – which was not created until 1839 – but to the pilgrims of Santiago de Compostela. Like the sailors, the pilgrims warmed their bodies, healed their wounds and sublimated their faith with a few sips of “ardent aygo”. On leaving the city, they took with them, descending towards Spain as well as returning, a few repairing vials. It was therefore they who carried everywhere in Europe the good word about the medicinal, life saving armagnac (“eau de vie”). The Goalard church of primitive Roman origin, modified or destroyed in a piecemeal way, has a flat chevet. At the base of the bell-tower, a broken arch gate was for a long time the only entrance to the church. 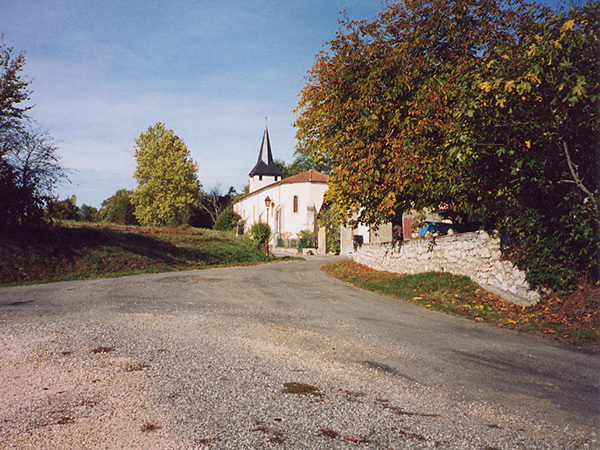 The small church of Pomaro made up of a regular apparatus is dedicated to Saint-Laurans. The windmill of Moussaron is in working order, and the house of the miller (private, visible from the outside). The hamlet of Grazimis has a large number of castles, Fousserie (XIIIth century), Pouypardin (XIIIth century / ISMH), and Verduzan (XVIIth century). Once a famous place of pilgrimage. The church of Vicnau (visible from the outside), of primitive Romanesque style (10th century), was fortified in the fourteenth century. On the Place du Hamlet, a “Work” served to shoe the animals. The Mothes Tower (ISMH) is located in the interior. until 1960 under the direction of Georges Fouet (1922-1993). 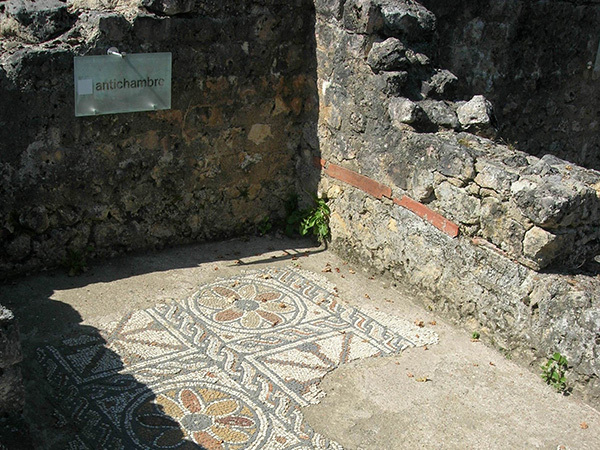 The residential part now open to the public dates from the 1st century in its earliest state. It was enlarged and embellished in the 4th century, and remained occupied until the beginning of the 6th century. 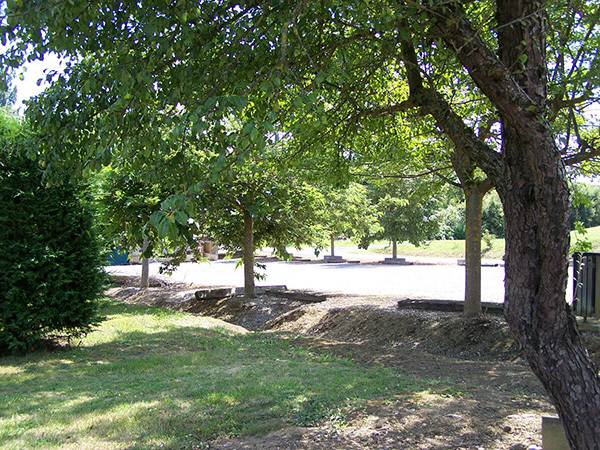 The area where agricultural labourer’s houses and workshops stood (forges, brickwork, brickyard, weaving …) extended to the south-east of the spa wing. It was re-buried after being studied. 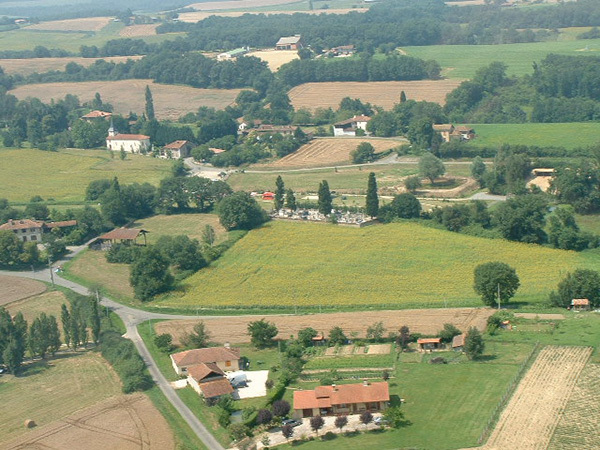 Marciac is a royal bastide, founded at the end of the thirteenth century (1298) following a paréage (a feudal treaty recognising joint sovereignty over a territory by two or more rulers) between Etienne de Lupé, Abbot of the Case-Dieu, Arnaud-Guilhem III, Earl of Pardiac and the seneschal of Toulouse, Guichard de Marzé, who built the bastide, gave it his customs and left his name. The customs were confirmed in 1300 by the King of France Philip IV the Fair. The original city was surrounded by an enclosure pierced with eight gates, with turrets all around and all around that was dug a wide ditch. 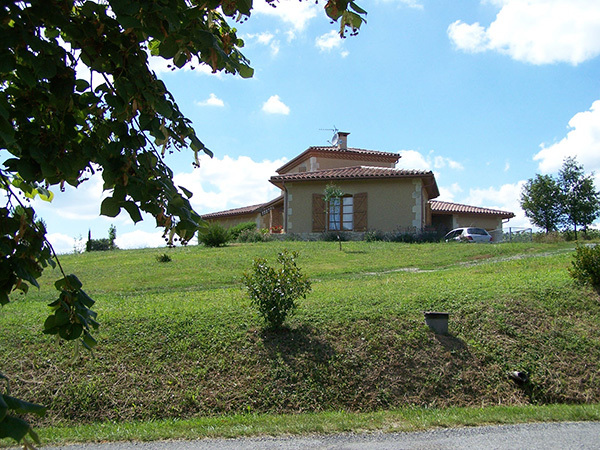 Large privileges made for the rapid success of this bastide. 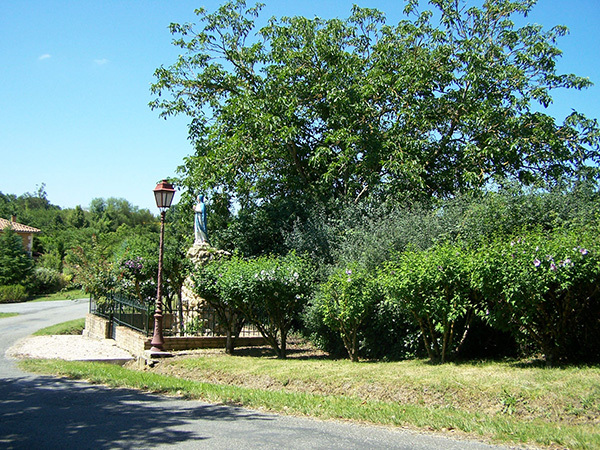 The new town diverted the road to Saint-Jacques to Saint-Justin, and proceeded to Maubourguet. Four hospitals populated the city, as well as the religious orders of the Augustinians, the Dominicans, and the Order of the Holy Ghost. It is a bastide with two axes of Gascon style (church set back from the central square). It is organized around a central square with arches, which is the largest square of the Gers (133 x 78 meters) and whose vocation of origin, military, allowed to lodge if necessary a thousand soldiers (Marciac was erected on the borderline of the French and English influences). 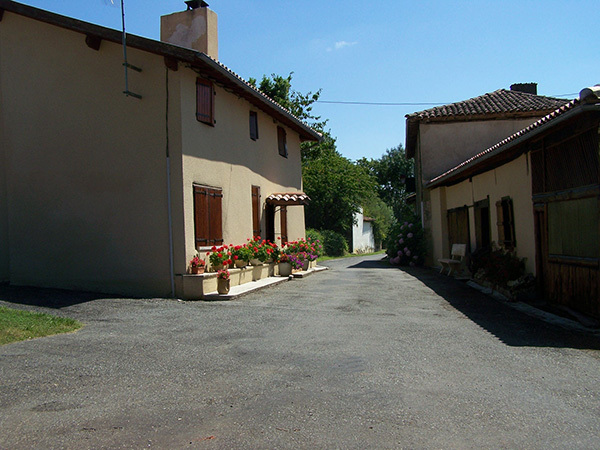 The bastide is divided into parcels (islets), with streets parallel and perpendicular to each other. The shape of the city, perfectly symmetrical, is inscribed in an ovalized rectangle of 598 x 394 meters. 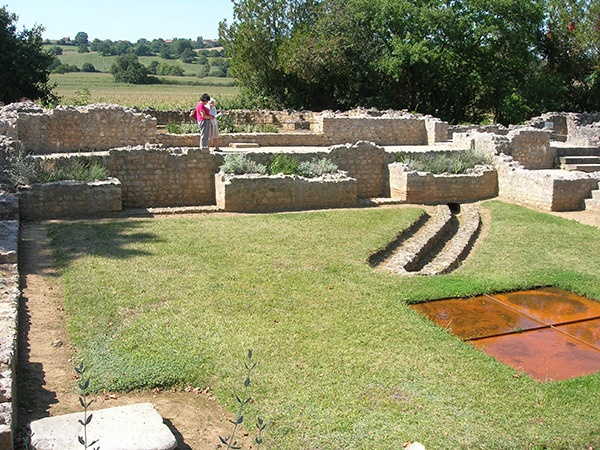 The project of architectural restitution of the Marciac of the 14th century, launched by the association MIM, INRAP, ENSA and Mayor of Marciac, will allow the visitors to the bastide to be immersed in its “architectural glory”, whose 1,750 meters of its ex-rampart represented a centerpiece. In 1569, the Sieur de Sérignac, lieutenant of the Protestant chief Montgomery, put the bastide to ransom and caused some damage to his churches. The church Notre-Dame de Marciac has the highest bell tower of the department of Gers (87 m). On April 5, 1142, nobleman Geraud de Brouilh, his wife and children, donated to Albert, Abbe de Berdoues, lands in the forest called Planasilva to found a Cistercian abbey, Planselve Abbey. From this Cistercian abbey there are only a few scanty ruins by the river, on the left bank (via the D 12 in the direction of Saramon, 3 km from Gimont). An act of paréage (a feudal treaty recognising joint sovereignty over a territory by two rulers) was passed on 25 January 1265 between the abbot of Planselve and the seneschal of Alphonse de Poitiers, brother of Saint Louis. 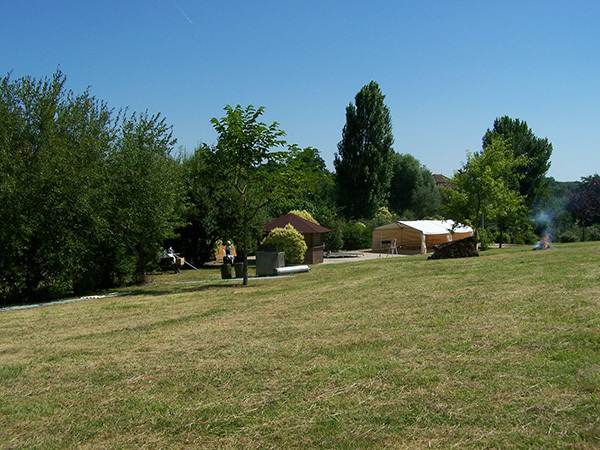 The site selected in the parish of St. Justin, in the diocese of Toulouse, near the abbey. The costs of the construction of the new city, first called Francheville, were borne by the Earl and Countess of Toulouse. The abbot and the monastery reserved the churches for themselves which would be built within the area of the city. In 1274, Gimont received a charter of customs, confirmed in 1280. 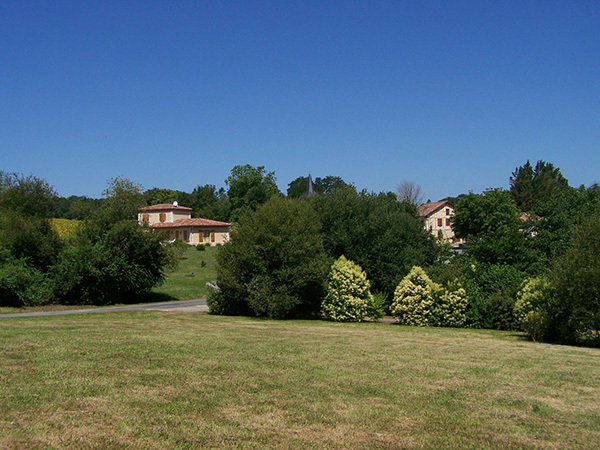 The fate of the bastide is still uncertain since the contract provided for the restitution of land to the abbey in case of non-settlement. This measure proves the randomness of these foundations of new agglomerations in the thirteenth century. On December 31, 1292, an agreement was reached between the consuls of the city and the syndic of the abbey, specifying that the syndic reserves for the workers of the church, who for the time would be entitled to take freely areas and land instead called Laurs, outside the valleys of the Grande, to work or toll in the church or in the churches of the city. Three churches were built in the city, Notre-Dame, Saint-Barthélemy also called Saint-Éloi, and Sainte-Quitterie. All that remains today is the Notre-Dame church. 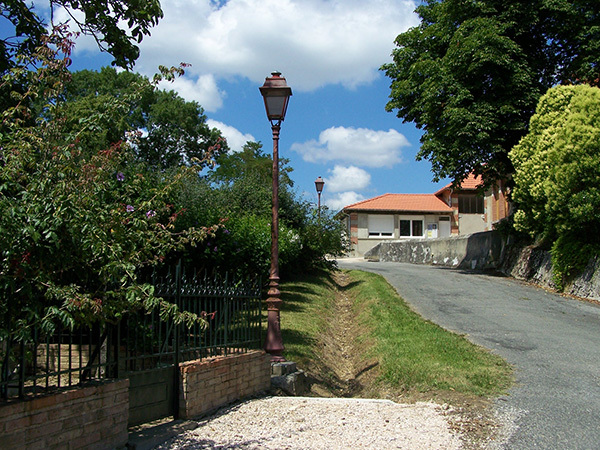 The bastide stretched over an eminence overlooking the Gimone. 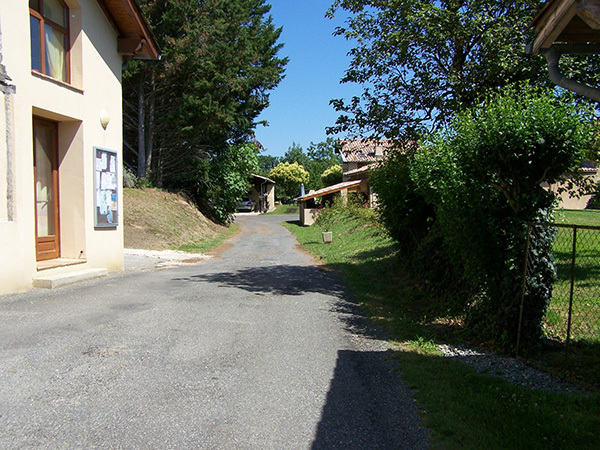 It clings to the hillside because of the narrowness of the promontory (300 m) which stretches on a single axis of 1 000 m length while the main street balances on the ridge and passes under the wooden market (as in Bassoues and La Bastide-Clairence in the Pyrénées-Atlantiques). 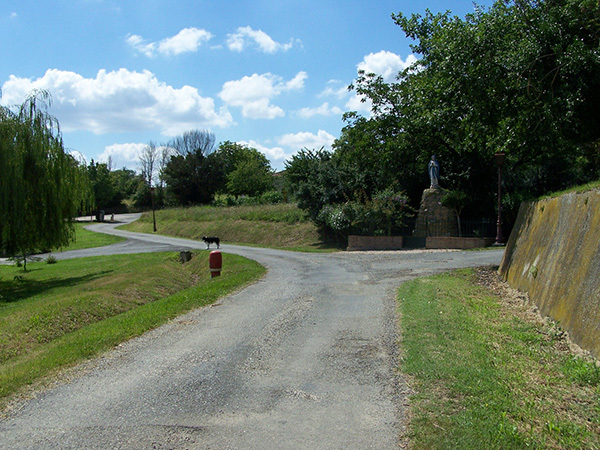 Gimont is located on one of the four paths of France of the pilgrimage of Saint-Jacques de Compostela, the Via Tolosane. Until the Revolution, the country house built in Gimont consulate was with 17 other parishes [Escornboueou (Escorneboeuf) Aurimont, Giscaro, Montiron, Prechac, Maurens, Sainte-Marie, Tirent (without Pontejac), St. Andrew, Laurac , Boulan (Boulaur) Polastron, Mongausy, the Has (Lahas) Andofièle (Endoufielle) Goudourvièle (Goudourvielle) Goujon, Bonrepos], one of several enclaves Jugerie of Rivière-Verdun in the county of Armagnac. In September 1939 Gimont welcomed refugees from the Alsatian village of Blodelsheim fleeing the German invasion and annexation. Attested since the 1140s, the medieval fortress, military capital of the counts of Armagnac, was dismantled in 1496 by Charles VIII during the siege of Lavardens. The original castle was owned by the lord of Isle-Arbéchan (today L’Isle-de-Noé). Then the castle remained in the movement of the counts of Armagnac until their disgrace in 1473. The current castle of Lavardens is attributed for the main part of its reconstruction to the architect Pierre Levesville who carried out the work for Maréchal de Roquelaure, from 1608. Antoine de Roquelaure built this castle to house his loves with his young wife Suzanne de Bassabat. However, he died without completing his task. The castle then fell, by way of inheritance, to the Rohan family. Bought in 1752 by the Marquis de Mirabeau, then by the family of Pins – owner from 1766 to 1852, the castle underwent only a few modifications. In the nineteenth century the castle was sold in joint ownership. For lack of maintenance, the roof collapsed in 1923. Today, the conservation association of the castle of Lavardens, owner of it, has been restoring it since 1970 and manages the reception of visitors as well as various animations and exhibitions. D’Artagnan, whose real name was Charles de Batz de Castelmore, was born in Lupiac around 1611 and died in 1673 at the siege of Maastricht. Each year in August, the village honours its illustrious villager with the festival, D’Artagnan chez d’Artagnan, An association was also created and today gathers 350 volunteers who work for 10 months to allow for the smooth running of this commemorative day. There are also various workshops that are an integral part of the festival such as the couture workshop which, thanks to the volunteers created nearly 400 costumes. The occupation of the site has been constant since prehistoric times, as evidenced by the numerous remains found during excavations. The site’s “barred spur” location has always favored human occupation. Oppidum aquitain, then occupied peacefully by the Romans, the city of Lactora then spread in the plain and knew a long period of prosperity. The successive barbarian invasions obliged the inhabitants to return to the height, to build ramparts and to make of Lectoure a stronghold for several centuries. Its reputation is firmly established. Victor Hugo, in Notre-Dame de Paris, tells one of the beggars thrown to the assault of Notre-Dame: “By the pope’s mustache!” (…) there are gutters of churches that spit you molten lead better than the machicolations of Lectoure. Capital of the county of Armagnac, it knew however several sieges, notably that of 1473 which saw the capitulation and the death of Jean V d’Armagnac, and an almost total destruction. Reunited with the crown of France, Lectoure was reborn from its ashes. It underwent new sieges during the wars of religion: then possession of the kings of Navarre, Protestant, it had to capitulate before Blaise de Monluc. The seventeenth and eighteenth centuries were a calm period in which a bourgeois society flourished. During the Revolution, many volunteers enlisted and became outstanding figures of the Empire: Marshal Jean Lannes, and a plethora of generals whose portraits adorn the hall of the illustrious. The nineteenth and twentieth centuries saw an evolution that was hardly different from that of other small towns: the slow decline of the population, with the brutal rupture due to the world wars (especially that of 1914-1918), which spared Lectoure by its geographical location far from military operations, which earned it an influx of refugees (the Alsatians of Saint-Louis in 1940). Toulouse is a commune in the South-West and in the South of France. Capital for almost 100 years of the Visigothic kingdom and historic capital of Languedoc, it is today chief town of the department of Haute-Garonne, the Occitania region and the headquarters of Toulouse Metropole. With 458 298 inhabitants on 1 January 2013, Toulouse is the fourth most populous commune in France, after Paris, Marseille and Lyon. Its inhabitants are called the Toulousains. The urban area of Toulouse has 1,291,517 inhabitants in 2013, making it also the fourth largest in the country. With 920,402 inhabitants in 2013, the agglomeration is the sixth, behind Lille and Nice and ahead of Bordeaux. The City with the characteristic architecture of the cities of the Midi of France, Toulouse is nicknamed the “pink city” because of the color of the local traditional building material, the terracotta brick. The development of the violet culture of Toulouse in the nineteenth century made it an emblem of the city and earned it the nickname “city of violets”. It is also, much more rarely, nicknamed the “Mondina city” (the Ciutat Mondina in Occitan), in reference to the dynasty of the counts of the city, often named Raymond. Linking Toulouse to Sète, the Canal du Midi has been listed as a Unesco World Heritage Site since 1996. Saint-Sernin Basilica, the largest Romanesque building in Europe, has also been listed on the Saint-Jacques Compostela. Toulouse is the European capital of the aeronautical and space industry with the sites of Airbus and its parent company Airbus Group. It has more than 100,000 students and according to L’Express this was the most dynamic city in France in 2009. The economic magazine Challenges renewed this title in 2012 and 2015. The emblematic sport of Toulouse is rugby union, its club of the Stade Toulousain holding the richest record on the national as well as on the continental level, with 19 titles of champion of France and 4 titles of champion of Europe. Cassoulet and sausage are the emblematic specialties of Toulouse gastronomy. Fortified village of the thirteenth century, lively and picturesque witness of medieval architecture. Entry tower vaulted in broken cradle and surmounted by a brecheche; Former castle of the Bishops of Condom and fortified Romanesque church. 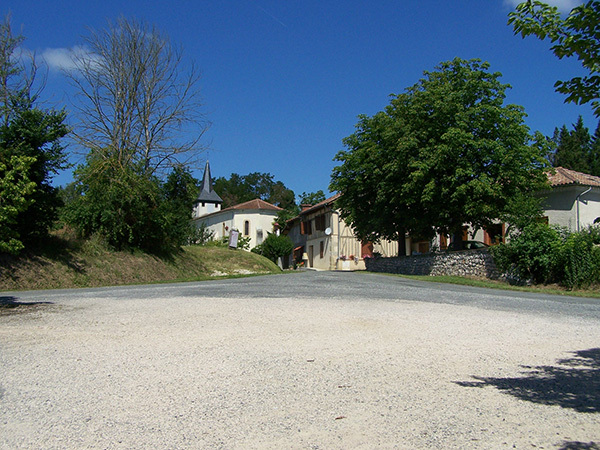 Larressingle, a small fortified village located a few kilometers from Condom, on the territory of the Great Site of Midi-Pyrenees “Flaran-Baïse-Armagnac”, is part of the “Most Beautiful Villages of France”. The village of the 13th century, often called the small Carcassonne of the Gers, is a lively and picturesque witness of medieval architecture. The guided tour of one hour by a professional guide will retrace the history of the village, its architecture including, among other things, a vaulted entrance tower broken and surmounted by a bretèche, a former castle of the Bishops of Condom and a fortified Romanesque church. Located on the GR65 of Santiago de Compostela, many walks with beautiful views of the city are possible around the village. Different machines that constitute the evolutionary park. During the visit, children and adults will be able to: manipulate catapult, pier, tinker, trebuchet, ballista! Dress in knight costume or princess. Try the coat of mail, the tunic and the helmet. Learn how to attack or defend a castle. Operate the ram. Exercise his archery skills. Rotate the crane or squirrel cage. Making the royal denier to pay tithing. If it is a counterfeit currency, you are pilloried. Medieval weapons, crossbows, cannons and guns, harnesses and halberds will be presented to you. The Midi de Bigorre peak, often abbreviated simply to the Pic du Midi, is located in the Hautes-Pyrénées, reaching an altitude of 2,876 meters. It is known among other things for the presence of an astronomical observatory and a television relay. This tourist site is part of the regrouping of stations N’PY. It is located in the French Pyrenees, in the department of Hautes-Pyrénées, on the border of the communes of Sers and Bagnères-de-Bigorre, referring as the city to the former county of Bigorre. Being located very forward of the chain, the peak is known for its panorama on the Franco-Spanish mountain range. The proximity of the peak to the plain has long led us to believe that it was, with the peak of the Canigou, one of the highest summits of the Pyrenees, up to the trigonometric work of MM. Rebout and Vidal between 1786 and 1789 and the barometric work of M. Ramond. Carcassonne is a French commune, prefecture of the department of Aude in the Occitania region. 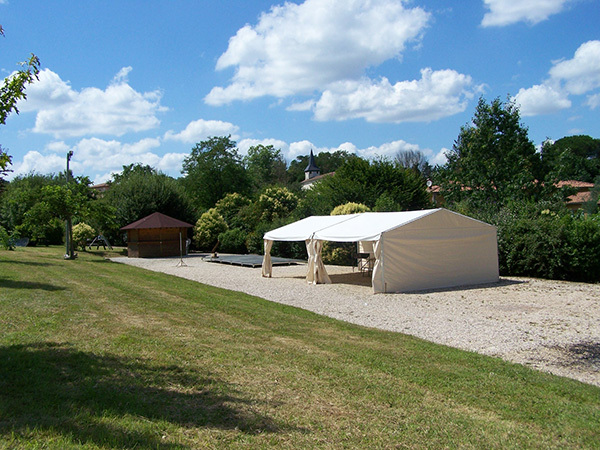 At the last census of 2013, the commune counted 46 724 inhabitants called the Carcassonnais. Carcassonne is the main city of Carcassonne Agglo 105 104 inhabitants (2010), the urban area of Carcassonne 98 318 inhabitants (2013) and its urban unit which has 49,257 (2013) inhabitants. Occupied since the Neolithic period, Carcassonne is located in the Aude plain between two main roads linking the Atlantic to the Mediterranean Sea and the Massif Central in the Pyrenees. The town is known for the City of Carcassonne, a medieval architectural ensemble restored by Viollet-le-Duc in the nineteenth century and listed as a UNESCO World Heritage site since 1997.